Looking to start or advance your career in the hotel business here in Paso Robles? 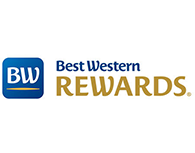 The Best Western Plus Black Oak Hotel offers rewarding career opportunities with competitive compensation and a talented team of co-workers. Check this page often to find out about our latest job openings. We are always interested in meeting energetic potential Team Members. If you are interested in filling out an application, please click the link for application and send via email to amckee@bwblackoak.com.